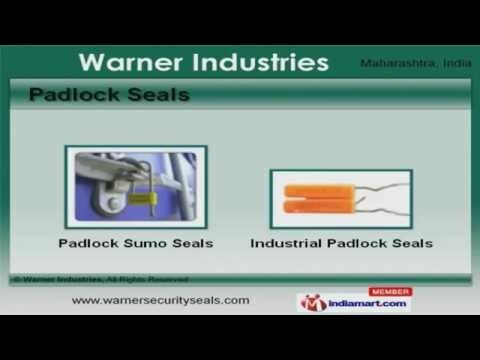 Welcome to Warner Industries, Manufacturer and Exporter of Security Seals and Stickers. We are an ISO 9001:2000 certified company, established in 1997 at Mumbai. We have spread our wings to Indian Subcontinent, Middle East and North America. Customized solutions, Economical price range and efficient delivery system make us the first choice of our clients. We offer a splendid range of Security Stickers, Security and Bolt Seals. Our Security Seals are best in the industry amongst others. We offer Padlock Seals that are nothing but the best solution for all your needs. Bolt Seals offered by us are available at industry leading prices. Along with that we offer Bag Seals that are some of our best selling products. We also provide Security Stickers that are reckoned all over the world for their superb quality.